Vintage 1960s Amber Lamp, glass with brass accents, Globe- genie bottle shape with night light. Very cool feature of glowing interior bulb. Can be used with one of the other bulb lite or both. Gorgeous amber glow. Brass base and neck accented with leaves. No cracks or chips, works perfect. I am not sure on the age of the bulb inside but it works and is easily replaced, just fold back the felt bottom and wallah. On the bottom, written in the brass is IMPERIAL. 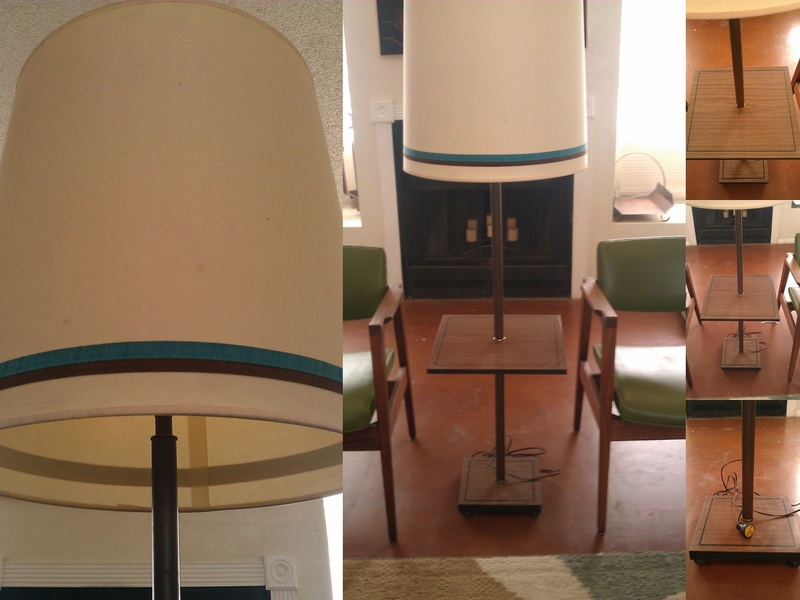 Very cool Retro lamp for your Hollywood regency home or 60s inspired living room. Awesome shape and color. An awesome eye catcher. 32″ tall and 12″ at its widest part. 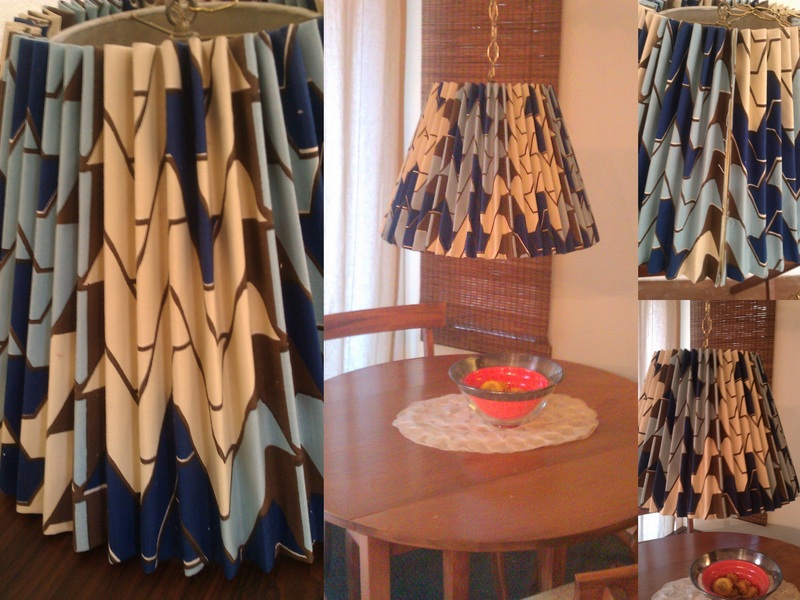 This is a vintage cottage chic table lamp with a base switch. The pot shape with double rim is unique and adorable. 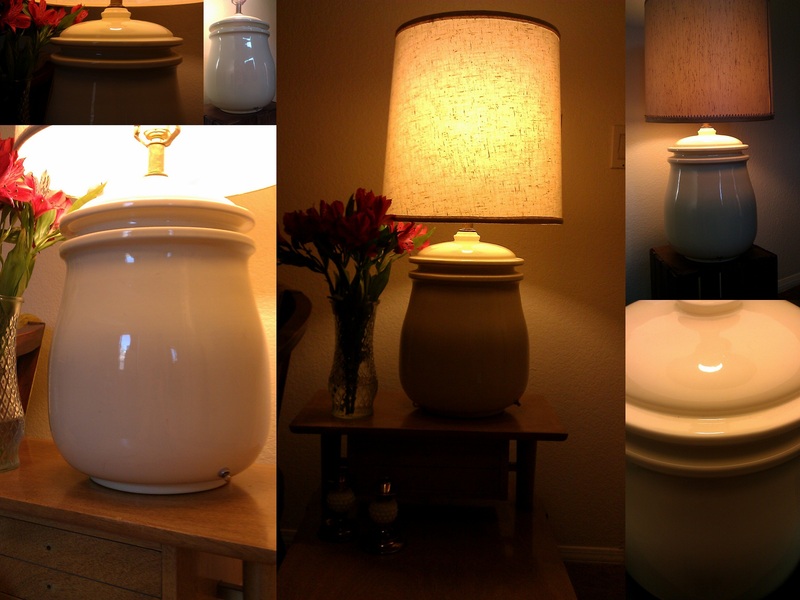 The creme or off white color could blend in many different styles with a change of lamp shade. Not your average lamp with its unique brass switch located near the base it would make a great addition to your cottage living room or bedroom. 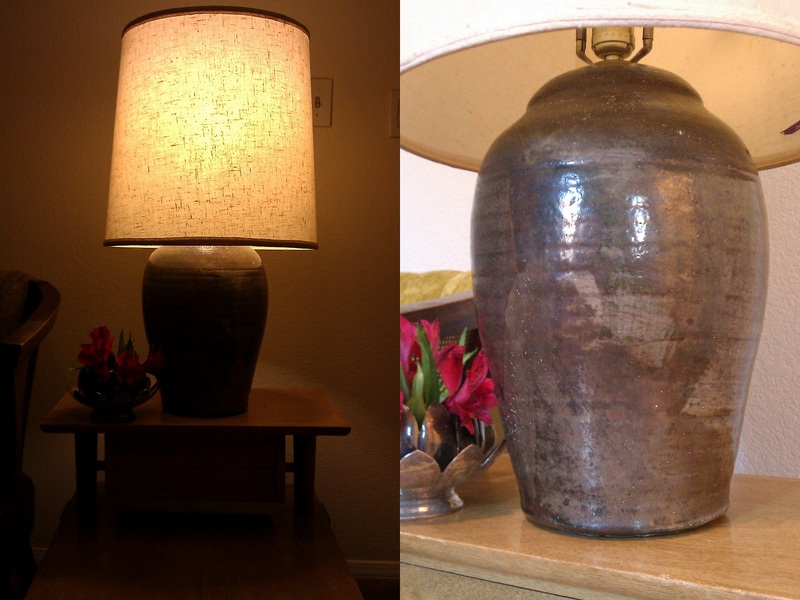 Lamp itself 1.6″ tall and 10″ wide.Shade NOT included. 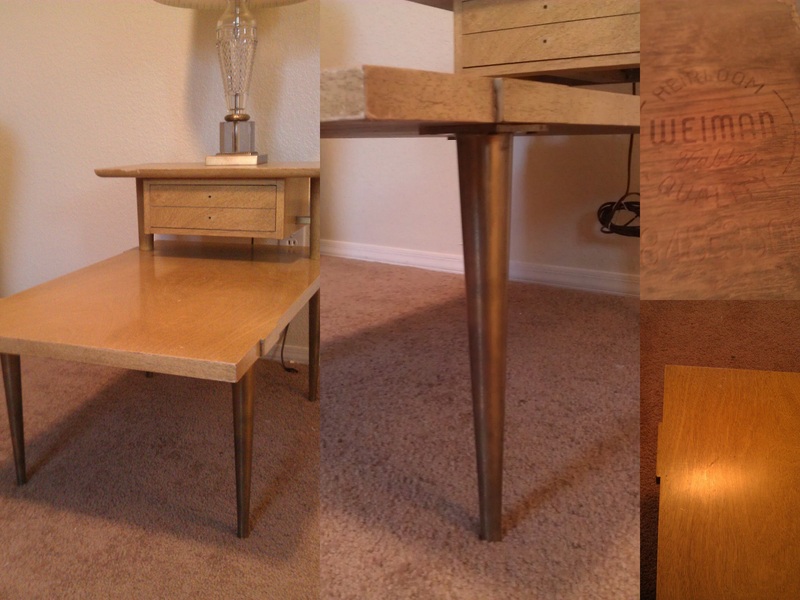 This Weiman Heirloom end table is perfect for you Mad Men living room. This mid century modern piece of furniture also has an art deco feel with is notched edges. The graduated brass legs give it a unique look. The stepped end table also has a drawer for storage. This piece has some scratched or dings on the surface but nothing terrible and probably repairable. It is missing knobs on the rawer. I am on the lookout or new/vintage ones. It is a blonde colored wood. with visible wood grain. The drawer is stamped with Weiman tables heirloom quality 848 3500.